Growth spurts and sensory problems are two possible reasons for your toddler walking on their toes. Here’s what you need to know about your toe walker. Most children begin walking at 12 to 15 months of age. For first six months of independent walking, it’s normal for them to spend some time on their toes. However, “if your child is on their toes for longer than six months, it’s problematic, and you should get it looked at!! During that period, their tiptoeing should be decreasing. A study published in the Pediatrics found that five to 12 percent of healthy kids toe-walk for no apparent reason. Sometimes it becomes an unconscious habit and is even encouraged by parents who think it’s cute (oops!). The cause could be as benign as going through a growth spurt . “As kids grow, the bones in the legs get longer first and the muscles stretch and catch up later. It’s like pulling an elastic band. Your calf muscle attaches to the back of your knee and the back of your heel, and if you extend those two points, the band gets tighter. Kids are often more comfortable if they lift up their heel, because it reduces the strain. But in other cases, toe-walking is associated with sensory problems, like vision impairment and sensory processing disorder, and developmental delays. Often, kids with sensory issues can’t tolerate certain textures underfoot. Some children who were born prematurely do it because they had their heels repeatedly pricked for blood tests and have tissue damage that makes their heels hypersensitive. Toe-walking can even be an early sign of cerebral palsy, muscular dystrophy and autism, so it’s important to get it checked out. A study published in the journal Brain & Development found that 19 percent of children with autism toe-walk, which may be because they’re prone to repetitive behaviours or have sensory issues. If it’s left untreated, toe-walking can lead to pain in the feet, back, hips and neck, as well as clumsiness. There are a number of treatments available for toe-walking, but finding the right one depends on the underlying cause. For children who don’t like the feeling of their heels on the ground,try exposing their feet to increasingly intense textures, starting with cotton balls and working up to pebbles, for example. Activities that improve balance, control and strength—such as yoga, martial arts and skating—can help those who have become toe walkers out of habit. “Heels down” can also be used as the New catchphrase around our house. 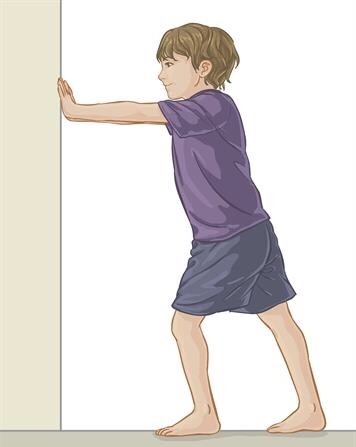 Children with tight calves can do stretches with the help of a therapist or a parent. You can also built ramps for them to climb up and jump off, because walking on an incline can help. “Make it into a game, so that kids have no idea that they are doing exercises,”. 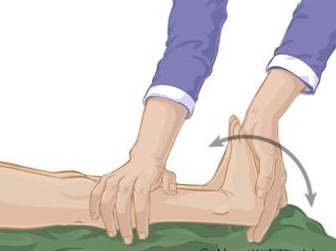 If the toe-walking persists, they may be given Botox injections to temporarily paralyze the muscle, followed by serial casting, which involves placing fibreglass casts at progressive angles, to stretch it. In rare cases, the Achilles tendon is surgically lengthened. If this article helped you , please share it as much as you can and spread the word!